6 x 5 minute exposures on January 6, 2008 in Beilen. 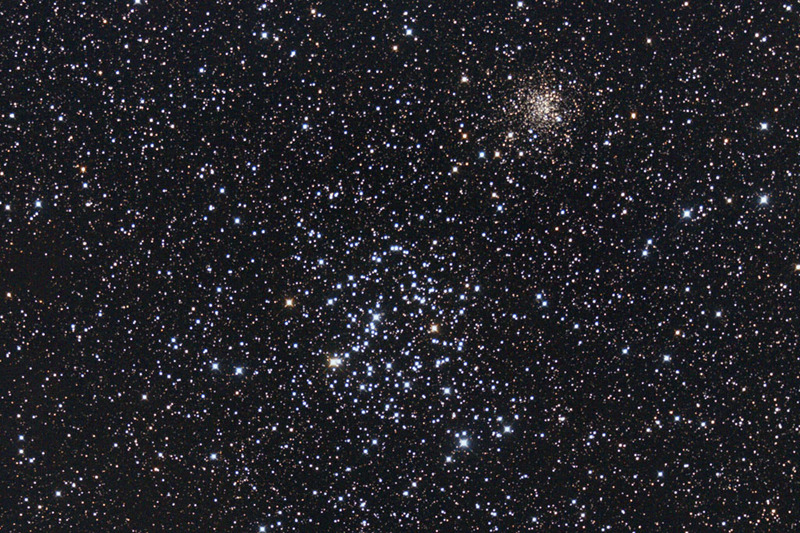 NGC2158 is the small yellow cluster above M35. SQM value was 20.0 mag/square arcsec. 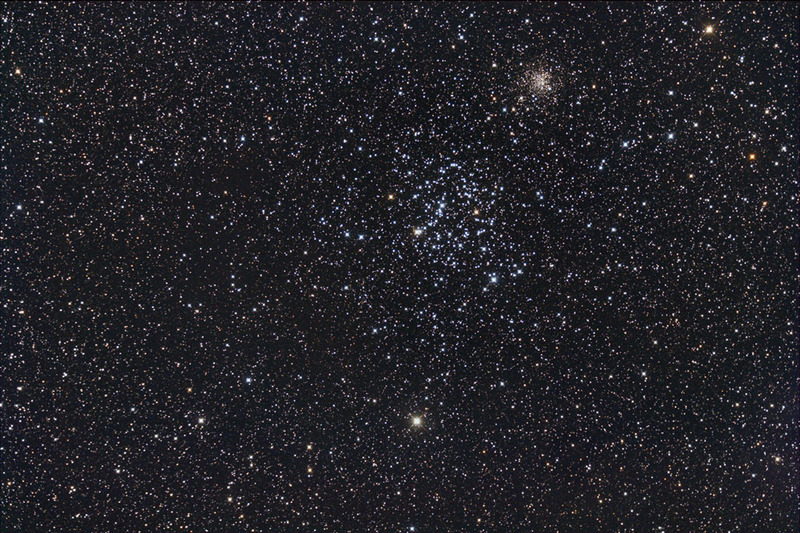 This image was made with a modified Canon 350D @800 ISO, and a 20cm (8") f/2.75 ASA Astrograph.